Hi Lovelies! 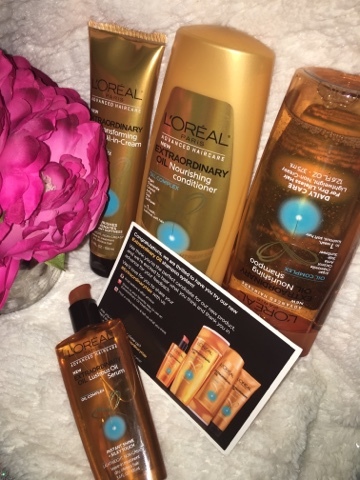 I got this amazing VoxBox from influenster and L'Oreal. I am loving the new extraordinary hair line and of course I wanted to share with you this amazing drugstore hair products. If you aren’t familiar with Influenster, it’s a market research company who sends out products to consumers to test and review for free. P.S. 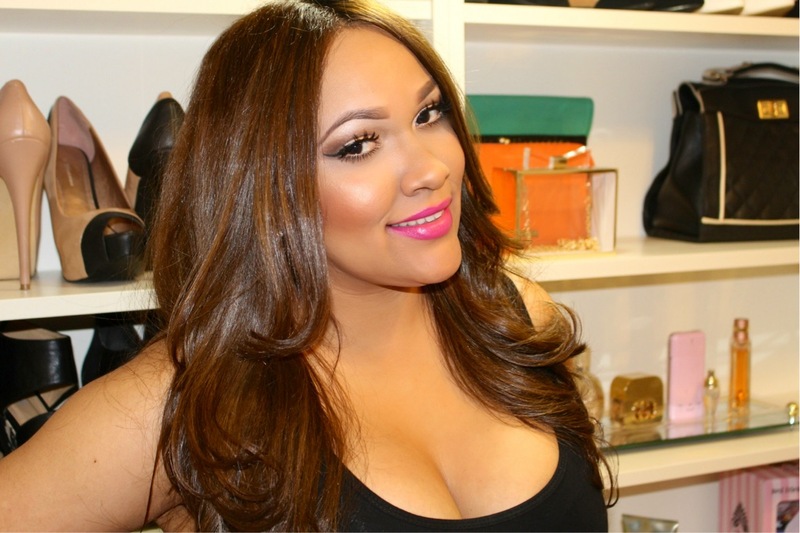 You don’t need to have a blog to sign up for Influenster it’s a free platform for everyone. I have to say I am impressed with this new line from L'Oreal Paris! I honestly, wasn’t expecting this drugstore hair line to be as good. I have been dealing with very dry hair due to over processing my hair with hair dyes and overusing heating tools. I was so excited when I got this VoxBox because I was in the market to find new hair products to treat my damage hair. I am beyond happy with my results after using these products. L’Oreal did it again! I start by washing my hair with the extraordinary oil shampoo (3 washes) and follow with conditioner, I dry my hair with a towel and apply the transforming oil-in-cream before I blow dry my hair. 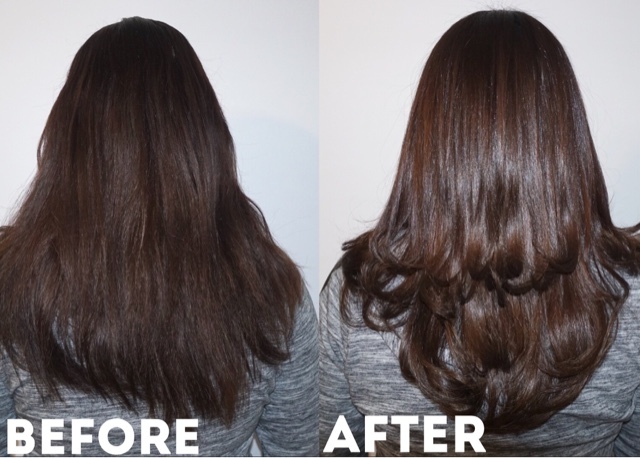 Lastly, I put two small pumps of the extraordinary oil serum to style my hair. The below picture speaks for itself right? 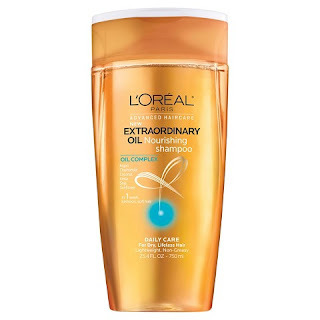 My hair looks very dry and freeze before I used the L’Oreal Advance Extraordinary hair line. This Shampoo is lightweight and lathered very nicely despite having oils the lather is very foaming and smooth leaving your hair feeling softer. I love this conditioner!! its so great and the smell is amazing, after I applied the conditioner my hair was so soft and so manageable. Its fare to say this is my current favorite leave-in-conditioner at the moment. I love using this product before I blow dry my hair. This product leaves my hair extra soft and so so bouncy. This serum works amazingly it gets absorbs by the hair quickly leaving your hair with nice shine and freeze free. I like the fact that this serum does not weight my hair down instead it gives it a nice bouncy feel. 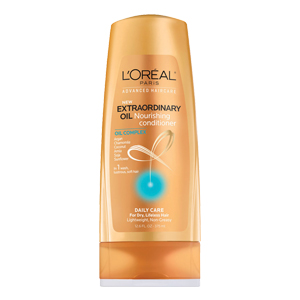 I would totally recommend the entire L'Oreal Advanced Extraordinary Oil hair line to everyone with normal to dry hair. If you guys are in the market for an affordable hair line look no further head over to your favorite drugstore and buy it.